The weekend is for handling a bunch of bills and chores and boring things I keep putting off, all while resenting having to do those things on my days off. You know what’s more fun? Video games. After reviewing Hitman 2, I’m back to making my way through Red Dead Redemption 2. I’d love to see what the story has to offer, but last night I spent about an hour winning a dollar at dominoes, then another hour losing that dollar again, so I think I have a long road ahead of me. 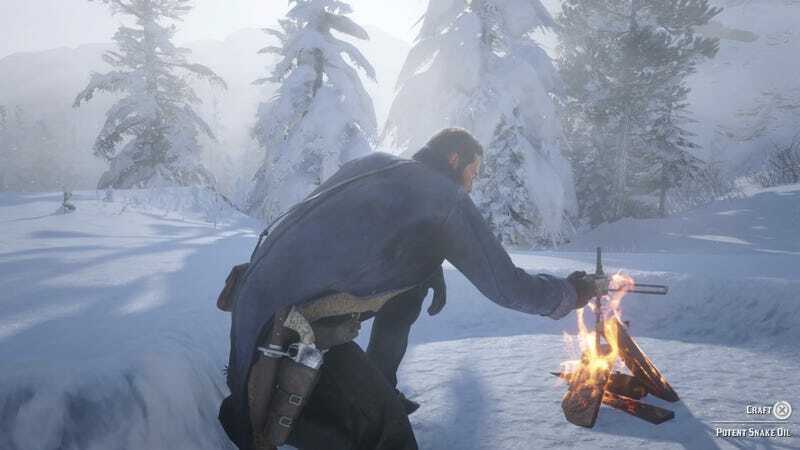 For every solid effort I make at cleaning out story missions, I spent three times as long riding around finding places to take baths and ruining animal pelts when I go hunting. Ah, well.